After the deadly terrorist attacks in Paris last week, many news sources claimed that not a single refugee had been charged with terrorism in the U.S. since the attacks on 9/11, but the assertion does not stand up to scrutiny. The noted publication The Economist proclaimed: “750,000 refugees have been resettled in America since 9/11; Not one has been arrested on domestic terrorism charges.” Oops, not true. A Somali woman was convicted of funding terrorism in Minneapolis. One can hide a lot of arms and funds under that outfit. In fact, several refugees have been convicted in high-profile terrorism plots, and several more were “asylees” — people allowed to stay in the U.S. for the same reasons as refugees, but who do not go through the same screening process. 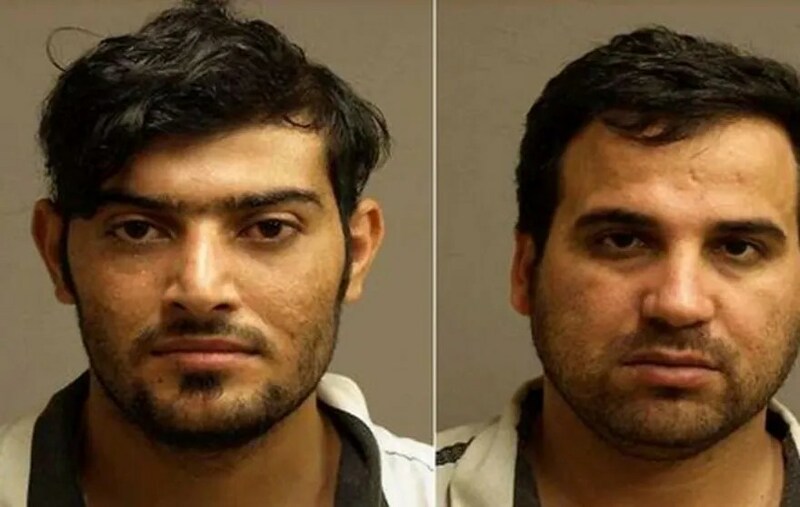 In one case, two Iraqi refugees in Kentucky were convicted after it turned out they had used IEDs to attack U.S. soldiers in Iraq and were plotting other attacks. An FBI agent recalled that they bragged about that and said they had soldiers “for lunch and dinner… meaning that he had killed them,” ABC News reported an FBI official as saying in 2013. Mohanad Shareef Hammadi, (l.), and Waad Ramadan Alwan, (r.), entered the U.S. as Iraqi refugees after helping build IEDs used against American forces in Iraq. In another recent case, an Uzbek refugee in Idaho was found guilty of conspiracy and attempting to support a terrorist organization, after he had allegedly been stockpiling explosives. His sentencing is scheduled for January. Supporters of letting more refugees in say that U.S. should not let the “occasional danger” get in the way of helping thousands. But some terrorism experts say Americans should be very worried about taking more refugees. “There are serious security concerns.The vast majority of Syrian refugees are legitimate victims of terror and persecution, but it only takes a handful of ISIS infiltrators hiding among them to bring the carnage we saw in Paris to our streets,” Marc Thiessen, American Enterprise Institute fellow and former senior policy adviser to the Senate Foreign Relations Committee chairman. “Moreover, polls show that while the vast majority of refugees oppose ISIS, about 13 percent support the terror network,” Thiessen noted. What percent is acceptable, you say? Members of the “Fort Dix 6,” who were convicted of conspiracy to murder U.S. military personnel, also entered the US seeking asylum; they were never granted it, but were never removed from the country, either. Despite those cases, government officials caution that the vast majority of refugees are in need of help and don’t pose a risk. But Thiessen said that while it is important to help desperate Syrian refugees – for instance by creating “safe zones” in the Middle East – the refugee program is not the best way to help. With all the clamor about the poor Syrian refugees, what about the 19,000 Iraqi and Afghanis who we know worked with US forces providing valuable translation of local languages, and are in danger in their countries but the US has them hung up in processing these allies out? It doesn’t make sense, except that the president gives preference to Sunni Muslim refugees, and a mere 2.3% of the refugees admitted are Christian. Back to the Syrians. It is extremely difficult to vet refugees from war-torn areas where there has been a complete breakdown of governmental control and authority. It is even harder in Arabic-speaking regions of the world, because of linguistic and cultural differences. Problems often begin with name identification, which is necessary to establish past history and determine whether members have been imprisoned or affiliated with any insurgency. These difficulties are compounded by how guarded Middle Eastern refugees are concerning motivations, which even the best regional experts have difficulty detecting. We have seen there is a history of failed assessments of Middle Eastern refugees, sometimes with grave consequences…..Due to this lack of documentation and inability to conduct name identification, FBI Director James Comey noted that the bureau does not currently have the ability to conduct thorough background checks on all refugee applicants. Let me reiterate that it is the next generation of a refugee family where the jihadist recruitment is happening. The parents might pass security checks while it is those little children (grown up) we raised and educated with our tax dollars who are thumbing their noses at your generosity and heading off to join al-Shabaab and ISIS. We have plenty of evidence that the youngsters are growing up radicalized (more devout!) in the US and the West generally! We must take note of the current outcome in France, Belgium and across Europe where they have been bringing in refugees for years. They do not assimilate to the culture, and barricade in enclaves with their own traditions and laws hostile to the host society and seek to overthrow it. And, one final thought as I watch and listen to Syrian refugee news on TV and on radio: Are we being distracted (I know Trump is!) by the Syrian refugee resettlement plan at a point in time when we are bringing in thousands of other Muslim refugees who frankly can’t be screened much better—thousands and thousands of Somalis and Iraqis for instance (Uzbeks, Rohingya and Afghans too? I think the average American (watching TV) is thinking that the Syrians are the only refugees we are bringing in from the Middle East and Africa. Not so. We must press all levels of government to PAUSE, and even halt resettlement of all the mystery masses.